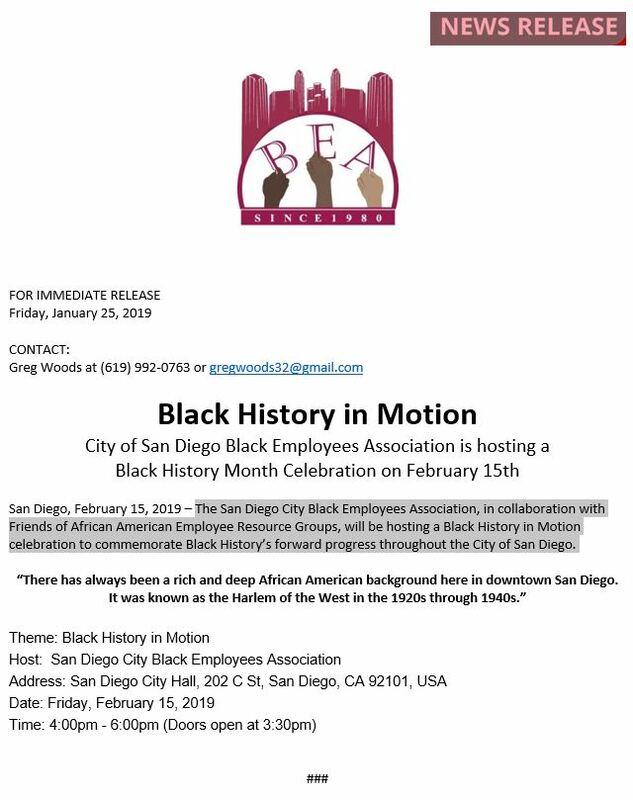 San Diego, February 15, 2019 – The San Diego City Black Employees Association, in collaboration with Friends of African American Employee Resource Groups, will be hosting a Black History in Motion celebration to commemorate Black History’s forward progress throughout the City of San Diego. Thanks for Sharing!! 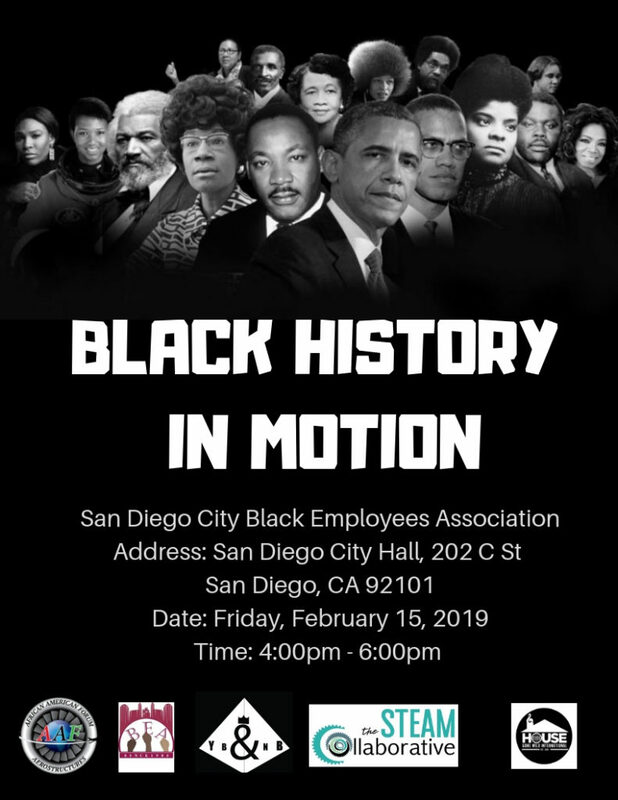 It will be a great event.